Lava has joined the notebook segment with the new Helium 14. Lava Helium 14 is priced at Rs 14,999 and will be available exclusively from Flipkart starting today. It will be available at select retail stores and other multi-brand outlets across Delhi-NCR, Coimbatore, Hyderabad and Bengaluru from the first week of July. 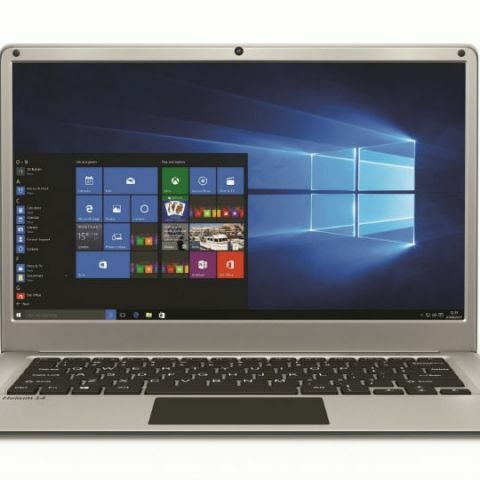 The Lava Helium 14 features a 14.1-inch Full HD display runs Microsoft Windows 10 Home Edition. The notebook offers 32GB of storage, which can be expanded by up to 128GB via a MicroSD card. It sports a 2MP camera and is equipped with a 10000mAh battery, which the company claims can offer a day of use. The device is powered by an Intel Atom processor with 2GB of RAM. With this move, Lava seems to be following a business model similar to that of Micromax, which already has a portfolio of notebooks and 2-in-1 devices. Last year, the company launched the Micromax Neo notebook that offers a 14-inch display with a resolution of 1366 X 768 pixels. The device is powered by a quad-core Intel Pentium processor with 4GB of RAM. The device was launched at a price of Rs 17,990. Lava Helium 14 or Micromax Canvas Laptab 2? When Windows 9 are launched?